Droptek has been an integral cog in the Monstercat machine since the label’s outset. Coming from the UK, his additions to the notorious brand’s catalogue have been massively successful. He often leans towards the darker, heavier side of bass music. Droptek’s releases have been bold and distinctive, and include remixes for Pegboard Nerds and Krewella. ‘Fragments’, his most recent solo body of work, earned him features on stations such as Noisia Radio and BBC Radio 1. Since becoming an established producer known for his dubstep and electro-house pieces, Droptek has converted to the faster paced and more frantic side of bass music and now mainly produces Drum & Bass. He’s quickly building recognition with fans who prefer their bass music above 170bpm. 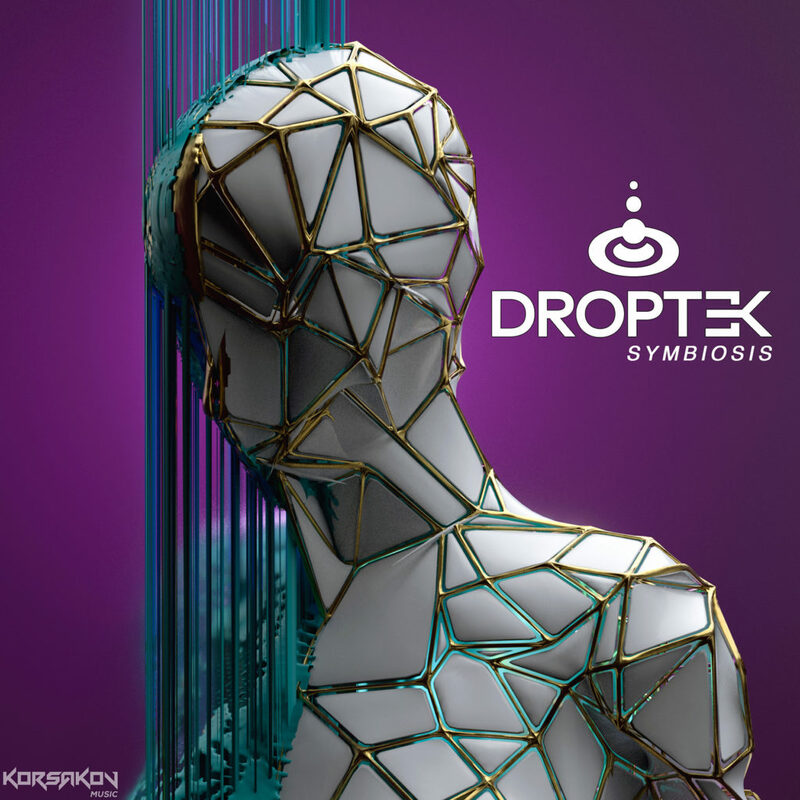 Recently, Droptek signed with the Dutch label Korsakov Music to release his debut album ‘Symbiosis’ – this piece of work serves as the ultimate definition of what he is all about. It’s a huge 18 tracks long and runs for over an hour and is sure to solidify this already established producer as one of bass music’s finest. Expertly crafted from beginning to end, ‘Symbiosis’ is a journey that will impress fans both old and new with its warped, mesmerizing sound design, out-of-the-box arrangements, and incredibly intelligent production. Today we premiere ‘Comply’ which is really difficult to put into words. It’s dark, furious, choppy and has loads going on. It’s got a filthy bassline and rolling drums, futuristic synths and bleeps, it’s just really clever music.